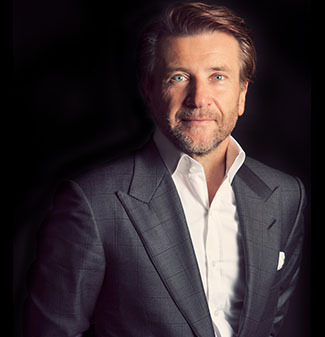 July 4, 2012 (Toronto, ON) – Organizers of the Honda Indy Toronto announce that Robert Herjavec, star of ABC’s hit show “Shark Tank” and well-known business leader, will serve as Grand Marshal for its 2012 event, taking place July 6-8. Herjavec will perform the standard Grand Marshal duties that include giving the famous “drivers, start your engines” command to start the afternoon IZOD IndyCar Series race on Sunday, July 8. He will also meet the IZOD IndyCar Series drivers, tour the INDYCAR paddocks and will participate in the Drivers Parade. Herjavec is also a successful race car driver and will compete in two Ferrari Challenge races at the Honda Indy Toronto that weekend. Herjavec is one of North America’s most recognizable business leaders. Widely known as an entrepreneurial and motivational expert, his business advice has appeared in numerous national newspapers and magazines. Herjavec’s celebrity status has expanded with his former leading role Dragons’ Den, the #1 TV show in Canada (now in its 7thseason) and the American hit show Shark Tank (now taping its 4th season on ABC). Herjavec has also gone back to one of his first loves, auto racing, competing in the Ferrari Challenge across North America. He won both races at this year’s season-opener in St. Petersburg, Florida, won the 2011 “Rookie of the Year” title for the Ferrari Challenge and with five podium finishes this season is poised to win the series. Herjavec will be competing this weekend in Toronto as the driver of Ferrari #007 and will be appearing at the Ferrari fan zone. Tickets to the 2012 Honda Indy Toronto are available online at www.hondaindytoronto.com/tickets or by phone at 1-877-503-6869. The Honda Indy Toronto takes place July 6-8, 2012 on the streets surrounding Exhibition Place near Lake Ontario and downtown Toronto. With 26 years of IndyCar racing history in Toronto, the Honda Indy Toronto is among the most respected motorsports events in North America and includes the fastest racing series on the planet, celebrity athletes, and a festival of live entertainment and interactive activities.